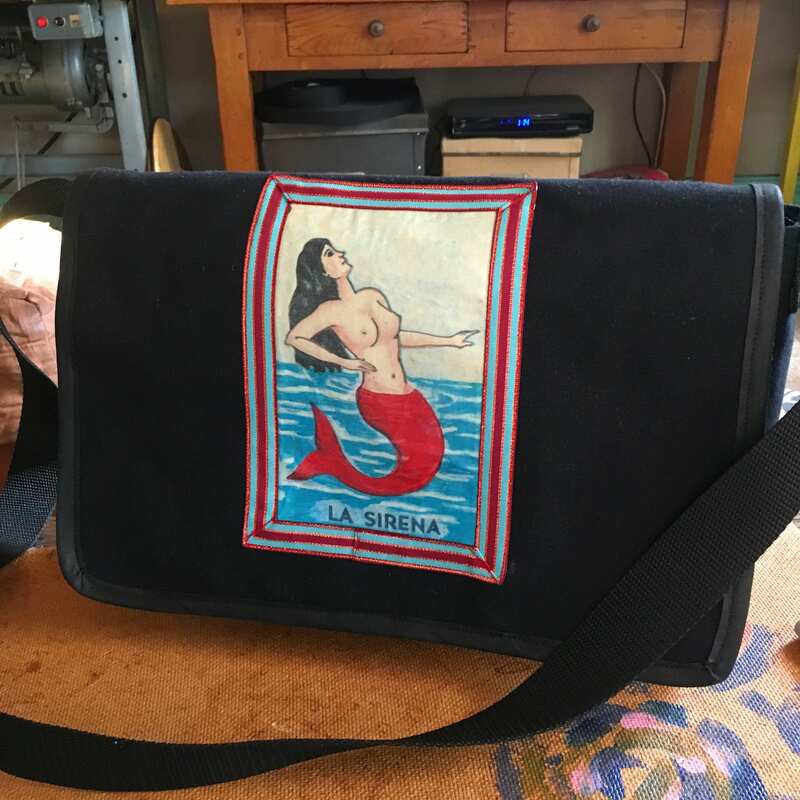 Heavy duty cotton duct canvas courier bag with appliquéd image of La Sirena. 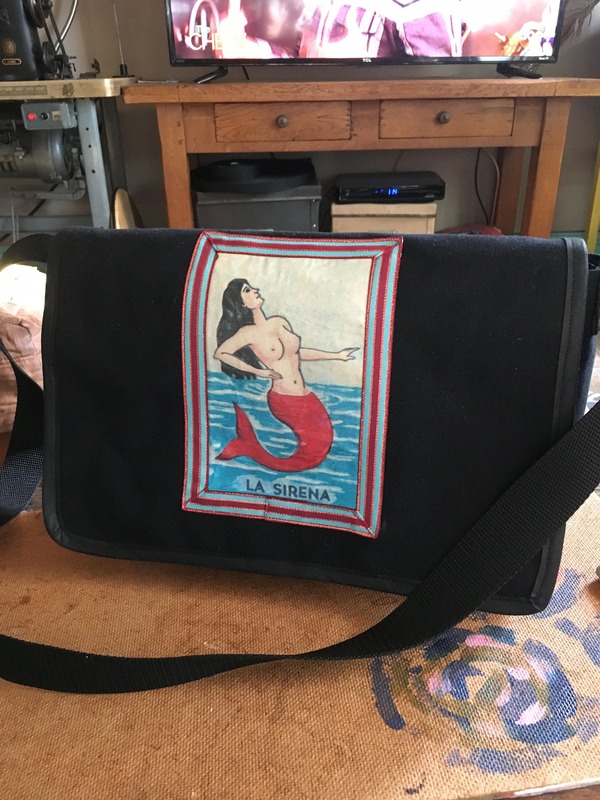 The mermaid image is taken from the traditional mexican loteria cards . 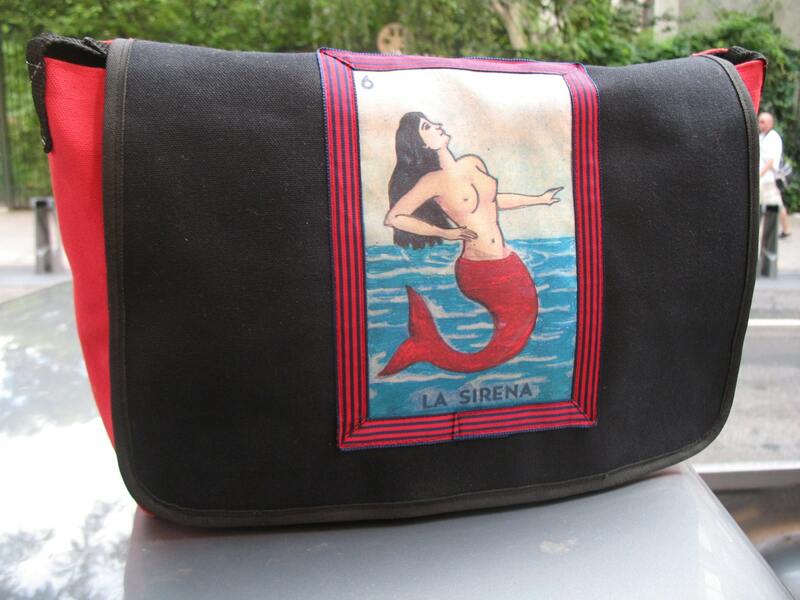 The image is a heat transfer that is appliquéd to the bag with a ribbon trim. 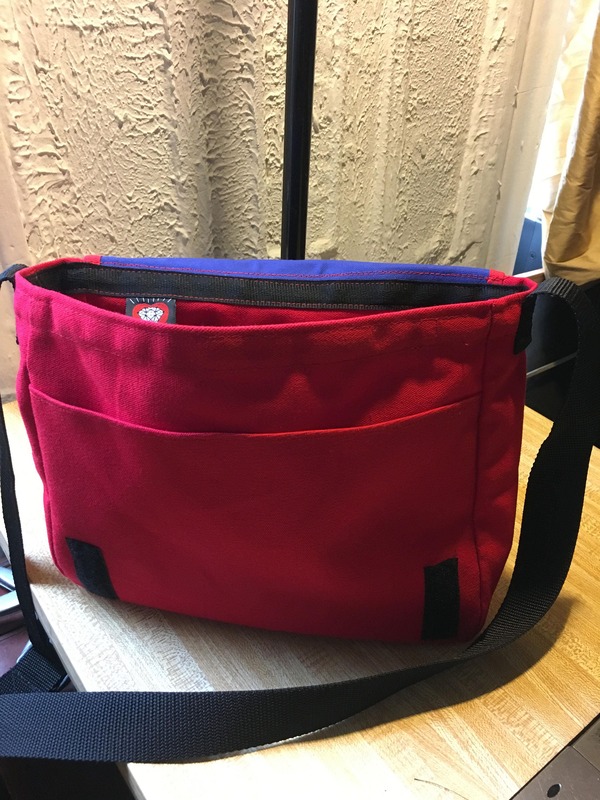 Lightweight and large enough to fit a laptop, books, and your days belongings. 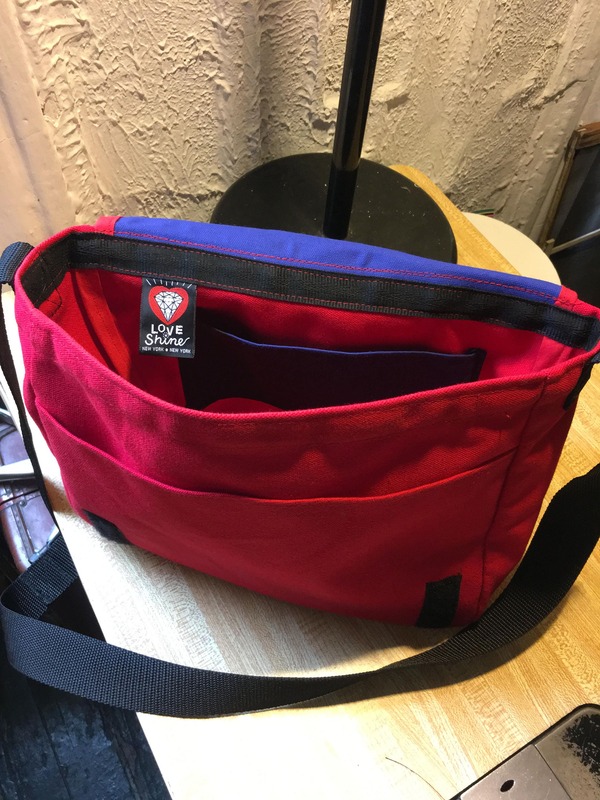 The interior of this bag has one large pocket and there is an exterior pocket under the flap. There is a 1.5" poly pro adjustable webbing strap.